Moscow’s Sheremetyevo International Airport has announced plans to launch construction of another cargo terminal in 2018. It will process additionally up to 380,000 tons of cargo per year, which is expected to drive the airport’s total annual cargo traffic to 700,000 tons by 2024. 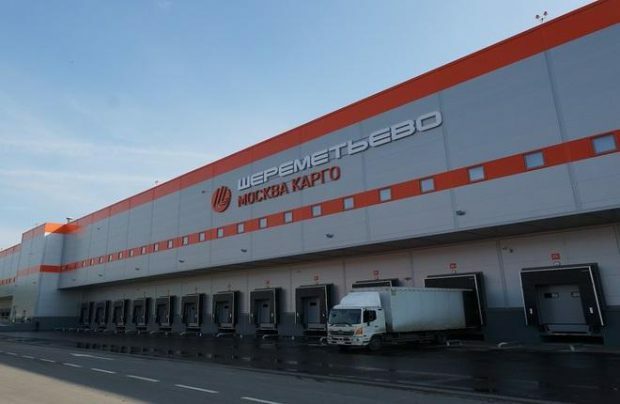 The new cargo terminal is part of the second stage of the ongoing construction project in line with Sheremetyevo’s strategy to become the “Europe’s global cargo hub.” The key partners in the endeavor are the airport’s base airline Aeroflot, the major cargo carrier Volga-Dnepr Group and other cargo operators. A spokesperson for the airport responding to Russian Aviation Insider’s inquiry regarding the possible date of the project completion said that further details will only be published in early 2018. The first terminal of the cargo complex completed in July this year became operational this December. With the floor area of 43,200 square meters the facility is capable of handling 380,000 tons of cargo per year. The terminal is equipped with systems, which automate up to 60% of operational processes. The entire domestic cargo traffic was transferred to the new building within two months, which translates to processing 250,000 tons of cargo daily. Due to optimization of acceptance procedures the process takes 1.5 to 2 hours less than previously. The international cargo flights will be transferred to the new terminal by the end of January 2018. In 2016 Sheremetyevo and Volga-Dnepr signed a partnership agreement, which included construction of $45 million cargo complex. Although the newly built terminal handles flights of other carriers as well, it is safe to predict that the second stage of the project mostly favors Volga-Dnepr’s interests and its subsidiary’s AirBridge Cargo. Other airlines will just not be able to provide such extensive traffic growth. According to the airport, it handled over 260,000 tons in the period from January through November this year, up 30% on the same months in 2016. The amount of mail grew 42.4% to 30,000 tons. The airport explains the growth by a 60.8% surge in international cargo traffic handled by Moscow Cargo. The volume of transfer cargo surged as well, by 80%.